It’s official – the time has come to bury summer fashion. However, there are ways to transform your summer wardrobe into fall-worthy looks as well. For example, basic tees or tanks can still be worn during the fall season by adding layered pieces such as chunky sweaters or denim button-up shirts with a leather jacket. Shorts, skirts and dresses can still survive by throwing on a pair of thick tights underneath them with some tall leather boots. The essential items can easily be transformed from season to season by simply layering and learning how to switch pieces in and out of your looks. Many people used to think that I had so many different items of clothing in my closet when I was in high school or college when I just learned how to utilize what I owned to create different looks. Pairing light-washed denim on denim has been a newfound love of mine, as it can be dressed up or down for multiple occasions. 2B Bebe‘s new signature denim in the “Ripped Serena Skinny” style have been my go-to pair of jeans lately. I love the light destroying which adds an edge to the overall look, and the material is somewhat stretchy so it leaves breathing room for me. For this particular look, I paired the denim jeans with a light-washed denim button-up from F21 which has silhouette pockets on the breast portion of the shirt. To dress it up, I added a textured belt, metallic clutch and embellished heels from ZARA. Cobalt blue is the new black for the fall season, and I’ve been in love with this long gown by ASOS for quite some time now. Believe it or not, I’ve had this dress hanging in my closet but haven’t found the right event to wear it to. It’s perfect to bust out for a date night or special event. The thigh high slit adds a really seductive aspect to the dress, without going over the top. Its high neckline keeps the overall look of it classy and elegant paired with a strappy heel. These particular heels are by Steve Madden, and I absolutely love the style of these shoes! The back of this dress is what makes it the ultimate date night look, as its deep plunge extends to the lower back to balance everything out while maintaining elegance. A metal belt could be added for a strong addition, but I wanted to keep it simple and focus on the dress for this particular pairing. Despite my love for feminine pieces, I’ve been playing around with the punk trend for the new season. The runways have been showcasing everything from tartan, vinyl and chains, to studs and spikes. Therefore, one of my new favorite items is this studded A-line skirt by 2B Bebe. I love how it encompasses the figure of a woman by minimizing the waist line and accentuating the curves by the shape of the skirt. To neutralize the look, I’m rocking the 2B skirt with a simple graphic tee and cinching the skirt at the waist with a gold-plated belt. Of course, you can’t really go wrong with a strappy heel and I’m really loving these shoes by Steve Madden. As a beauty and fashion blogger, I consistently encourage an understanding of self-worth and maintaining a positive attitude in every aspect. 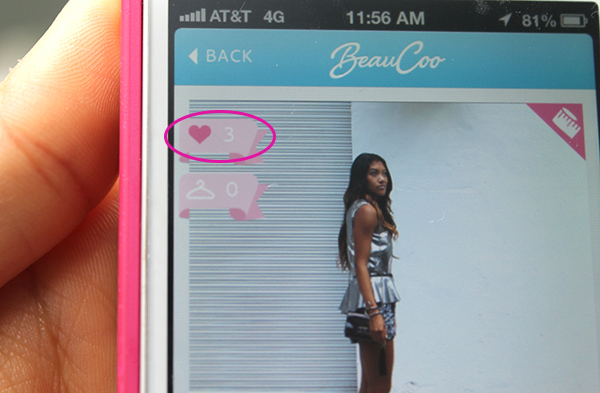 Today’s blog post features one of my new favorite accessories that has been added into my iPhone, which is the BeauCoo app. If you aren’t familiar with BeauCoo, it is a social style network where women can connect with other women of all shapes and sizes to discover new styles, brands, and stores while becoming part of a body positive (#BoPo) community. What I love so much about this app is that it promotes inspirational and non-judgmental beauty where women of all sizes can share their most recent fashion finds and view style tips from other ladies as well. For those who don’t want to go through the tedious process of going to a store, trying on multiple outfits or purchasing an item online only to find out that it doesn’t fit, BeauCoo provides a convenient shopping tool. 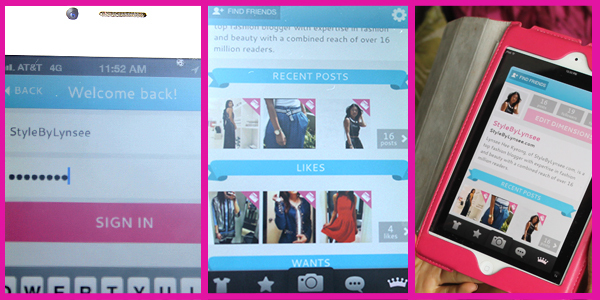 Viewers can “like” an item of clothing to show love to their fellow BeauCoo-er or “want” the item to place it in a “wish list.” How fab is that? The sign-up process is nothing like a line at Great America or Disneyworld either – it’s quick and simple (done it about 5.5 seconds). After creating my username and password, it asked for my measurements (and no, they are not displayed for the entire world to see) and I was ready to start posting photos. I’ve really been loving that I can just update and select pieces while relaxing on my couch. I do love to shop for pieces in-store but as a mommy and business owner, time is of the essence and I’m always looking for a time-saving element! Dressing for your body type helps women feel good and elevate confidence; therefore, shopping and picking out clothing should be fun. 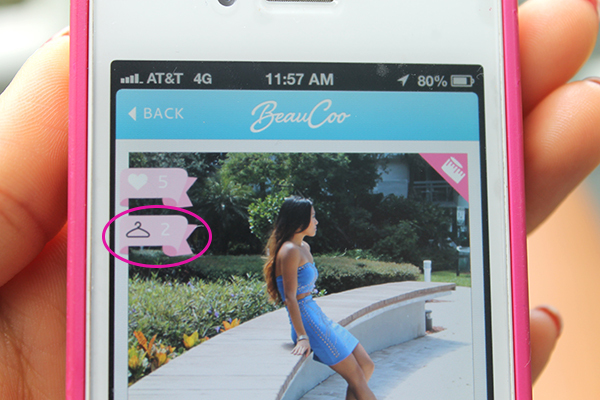 The reality is that it’s not easy or enjoyable for all women, so BeauCoo developed an app that helps women of all sizes, shapes and colors to unite together and feel more comfortable when it comes to selecting clothing. I don’t know about you, but I have signed up for so many different apps and end up barely using them or I simply revert to Facebook and Instagram. A lovely little treasure that I discovered using BeauCoo is that I can also share anything that I post across all other social media platforms which is like a party in my iPhone. Since I’m constantly updating and posting, it’s really great for consistency and a uniform platform where I can just post on-the-go. Join the BeauCoo community with me, and check out my page as well! The smartphone based app is available in the App Store and Google Play, which also works on both iPhone, Android and the iPad. They also have a web-based platform available, but I am a lover of the smartphone based app because I can update while I’m in the middle of meetings or at a special event. Happy BeauCooing! What I love most about their boutique is the sense of a luxurious escape filled with refreshing home decor and feminine pieces. I decided to put together a basic fall look, piecing together a Rabbit Fur Yali vest by Calypso St. Barth, the Short Sleeve Cotton Flutter Tee by Twenty, and Adriano Goldschmied Black Slick Coated Jeans. The Divya Sequin Embellished Halter Dress by Calypso St. Barth is one of the most elegant pieces in their boutique, and I love the embellishments added to make it an ultra feminine look.